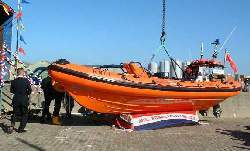 It was a busy weekend for the volunteer staff of Dover’s RNLI lifeboat this weekend break with three service calls plus performing a rescue presentation for the Dover Community regatta as well as the station holding it’s yearly Open Day on Sunday. Saturday following a successful and also well obtained sea rescue presentation with each other with Walmer Lifeboat off Dover’s seafront, the RNLI volunteers were paged by Dover Coastguard to take control of the tow of an 11 metre German private yacht with 2 individuals on board, some six miles off the port from the Dungeness Lifeboat. 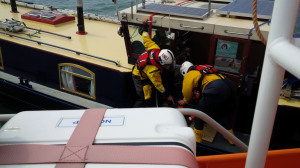 The lifeboat swiftly satisfy up with the vessel as well as proceeded to tow her back to the Port of Dover showing up back following 1730. 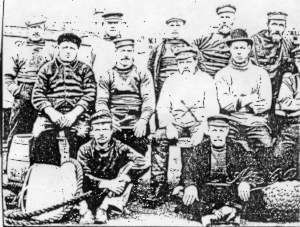 The volunteers were then paged again at 0100 on Sunday morning to reports of an individual in distress on the cliffs at Folkestone. 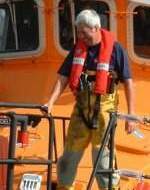 The lifeboat continued to the area and also prepared a staff to launch their small inflatable Y- Watercraft to obtain closer to the scene when they were informed that the person concerned had been taken into the custodianship of Kent Cops as well as the lifeboat was stood down as well as returned to Dover at 0220. Sunday the 27th July was the terminal’s yearly open day providing regional fans of the Royal National Lifeboat Institution as well as at 1127 as the groups began to collect, Dover Coastguard asked for a prompt launch to an 18 metre, 27 tonne transformed barge that was absorbing water some 5 miles off the port of Dover and also in prompt danger of sinking with 2 individuals as well as a canine on board. 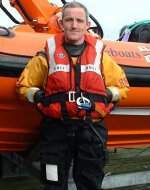 The lifeboat under the command of Coxswain Mark ‘Foggy’ Finnis swiftly showed up on the scene as well as moved 2 staff members and a pump aboard. 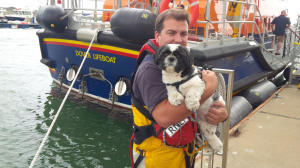 At the very same time a women passenger struggling with sea health issues as well as the pet dog were taken aboard the lifeboat for safety. 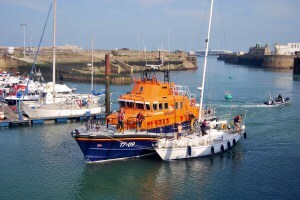 The access of water was stopped and the Dover Lifeboat then took the intrude tow and returned to the marina at 1350.